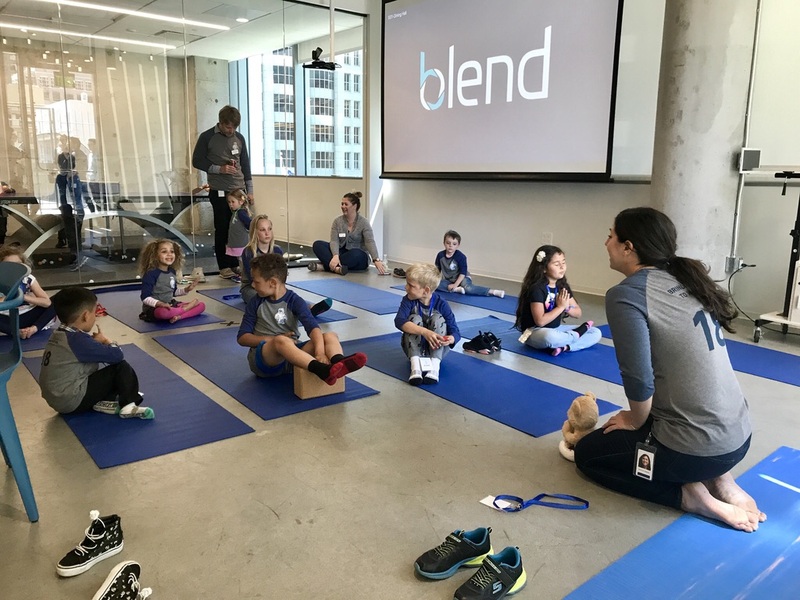 We’ve headed west for this feature, speaking with Blend’s Amanda Delaney about her role in cultivating a harmonious company culture through powerful--and sometimes silly--events that get her coworkers moving and connecting with each other. 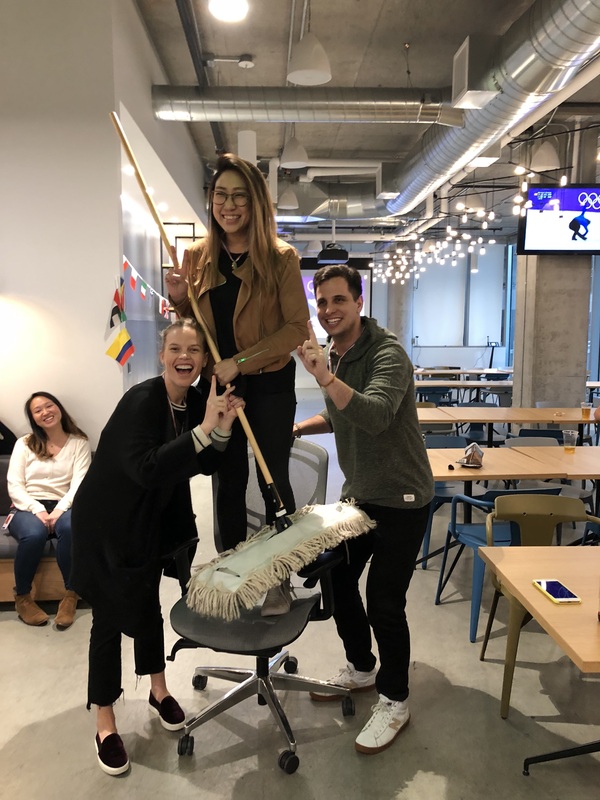 Don’t confuse silly with frivolous, though, as the San Francisco-based Blend aims to take the stress out of consumer lending, so too does Amanda provide outlets for wellness and light-hearted play at work to keep stress low and morale high. Two Highlights You’ve Had In Your Current Role: 1) Rolling out our wellness program and seeing how happy it’s making my coworkers! 2) Hosting about 30 kids at Bring Your Kids to Work Day. Watching them run around during a photo scavenger hunt was pure joy and the perfect example of play at work. Describe a normal day in your role. Everyday is so different, but there is always a focus on employee happiness, well-being, and productivity. Most days are spent on planning big and small-scale internal events from the Leadership Summit and Holiday Party to Third Thursday Social Hour. Part of the day might be spent teaching yoga or participating in other wellness events like meditation or bootcamp. And every day includes thinking about ways to surprise and delight all of Blendkind, including our three offices and remote folks. When I take a break from working, it’s to play with one of the five pups around me. What does Play At Work mean to you? Play at works means surprise-and-delight moments, like when we brought dragon dancers into our office during Chinese New Year. It also means laughing every day with my amazing coworkers. Life is too short and too fun not to! We also have something called Blubs (Blend clubs). Blubs are employee-led interest groups that the company funds, and they’re very popular! A lot of them are what you’d expect, like burgers, cheese, meat, yoga, or basketball. Others are more niche, like Harry Potter or Germanic Operas. Then there’s the rogue Blubs that pop up in Slack, like #blub-bananas. Don’t get me started on their battle with #blub-fruits. What’s your favorite childhood game and why? I loved playing hide-and-go-seek as a kid. We were friends with all of our neighbors and I remember summer nights getting together to play for hours. I’m happy I grew up when the internet didn’t really exist and we connected in person. How do you Play outside of work? I love spontaneous travel and dance parties. Traveling to new cities is so fun for me because I really enjoy learning about different cultures and I never know what to expect on these adventures. My friends and I have this motto — “do it for the better story” — it keeps life exciting. And of course, dancing with friends makes me so happy. Name the most memorable work/networking event you’ve ever attended and why? When I first moved to New York in 2009, I worked at a hedge fund and every year we’d go on a team-bonding retreat. The most extreme and fun retreat was to Park City where we all rode a bobsled down the Olympic track and did skeleton racing. When you mix fear with exhilaration, it makes for a very successful and fun team-bonding experience. Name a fun coworker. What makes them a fun person to work with? My coworker and HR Generalist Olivia Bernstein. Even when we get super busy, the two of us are always able to find humor in the stress. She also keeps me up-to-date with pop culture and fashion. If you could have a billboard with anything written on it, what would it say? Why? “Love yourself first.” Life can be hard at times, and I think it’s so important to take care of yourself and truly love who you are. When you have self-love and compassion, you can then manifest anything! Who or what do you draw playful inspiration from? City adventures, conversations with friends, hanging out with my adorable nephews who play all day, books like Creativity, Inc. and You are a Badass, and writing. What’s one fun thing you want to do by the end of the year? I’m traveling to Cartagena and Medellin in Colombia this May. I can’t wait to experience a new culture! If you have someone in mind who you would like to see featured, please email Angel at angel@zogsports.com.